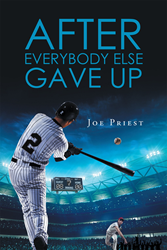 “After Everybody Gave Up” from Page Publishing, author Dr. Joe Priest describes a team willing to think beyond conventional wisdom and a team that dared to explore the healing potential of the will in concert with applied principles of kinesiology, biomechanics, and engineering. Dr. Joe Priest has been a professor of kinesiology for twenty-five years and also runs the Laboratory for Wellness and Motor Behavior. The content of this book exposes the heart of a group of people who have formed a team of collaboration, spirit, and like mindedness. Through the leadership of Dr. Priest this team uses their talents and energy to help a population of people who are less fortunate and to some extent forgotten. The goal is to improve the quality of life of the recipients of the training, however, the end result is not only an increased quality of life but one that is seasoned with hope and encouragement. Through the work described in this book, lives are changed for those suffering from serious medical conditions including spinal cord injuries, cerebral palsy, multiple sclerosis, spina bifida, and other neuro-muscular disabilities. Clients, trainers, fellow faculty, a hospital administrator, and a participating physician describe decreased use of prescription drugs and increased energy for daily living. This unique approach called Team Kinesiology is replicable with millions of individuals standing to benefit from this extended health care. Readers who wish to experience this informative work can purchase “After Everybody Else Gave Up” at bookstores, or online at the Apple iTunes store, Amazon, Google Play or Barnes and Noble. For additional information or media inquiries, contact Page Publishing at 866-315-2708.